What are the Bolivian Salt Flats? 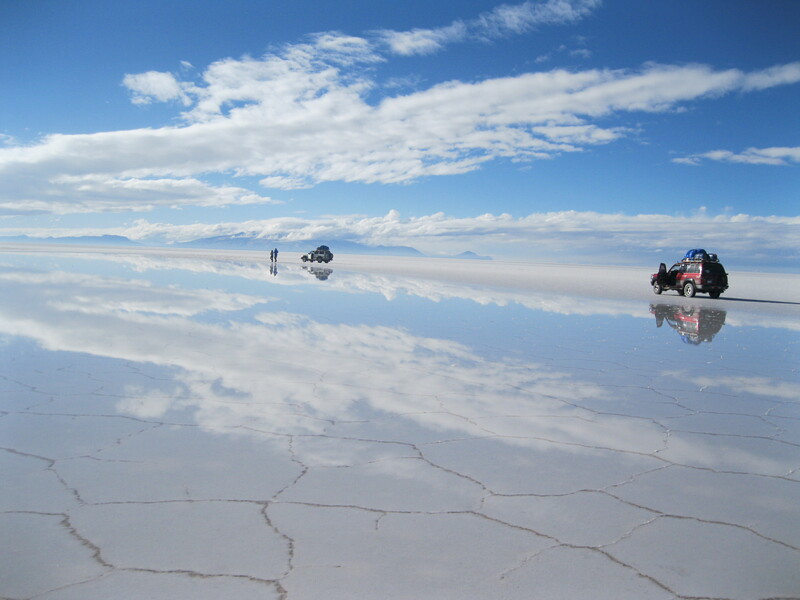 There are very few places in the world that can rival the natural beauty of Salar de Uyuni, which deservedly sits right at the top of most people’s South American itinerary. Not only is there the stunning spectacle of the Bolivian salt flats themselves to admire, the area is also home to mesmerizing colored lakes and the awe-inspiring Andean Mountains, which combine to create an unforgettable landscape. 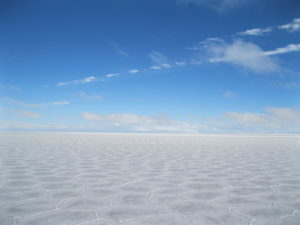 The salt flat here in Bolivia is the largest in the world, covering an area of around 11,000 square kilometers (4,250 sq. 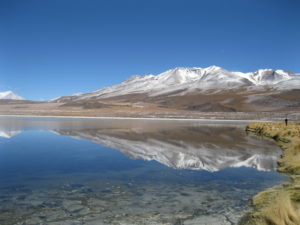 miles), at an elevation of 3,656 meters (11,995 ft). 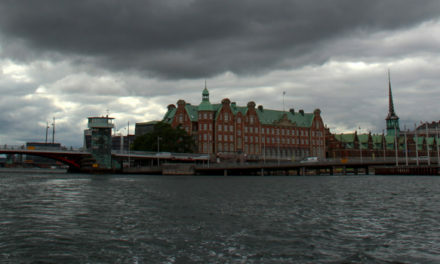 Originally the flats were part of Lago Minchin, a prehistoric lake that used to cover the majority of this region. Eventually this lake, as well as others in the area, dried up to leave the staggering sight we see today. 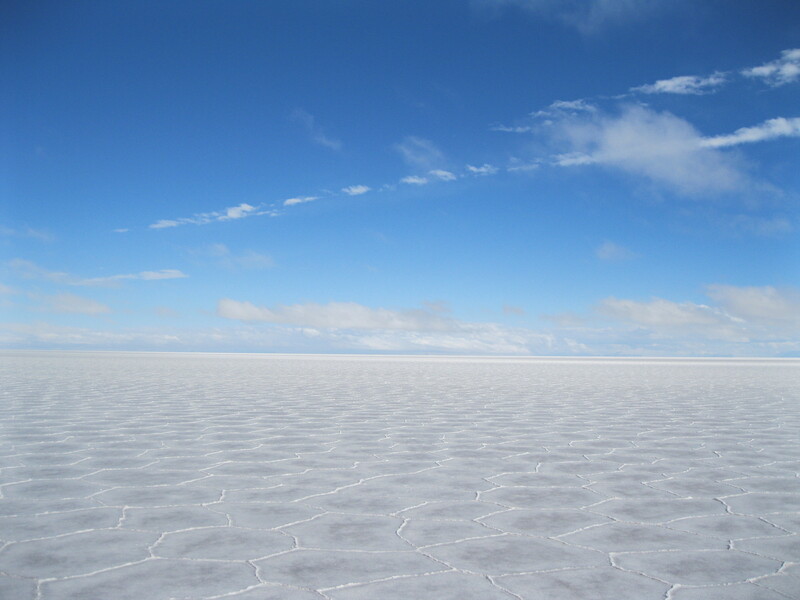 Most people would have seen photos of Salar de Uyuni before they embark on their three day tour, but nothing can quite prepare you for the first time you step out onto the flats and witness it first-hand. As the sun beats down on the glowing crystals below and the Andes in the distance provide the perfect backdrop, you really get a sense that you are witnessing something special. 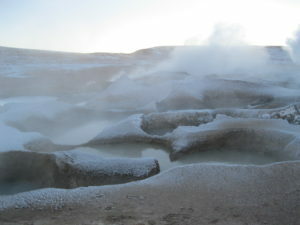 A lot of people don’t realize that there is so much more to this area than just the salt flats, which really are only just a small part of your action packed three day tour around this region. Whilst the salt flats are unquestionably the main highlight of this trip, the other amazing and beautiful sights you see aren’t that far behind. Here is a quick guide as to what you can expect from your tour. On the first day, you leave Uyuni in the late morning, heading just down the road to see the train cemetery, which is quite an interesting place to briefly explore. You’ll then start your drive to the original salt hotel, where you’ll usually stop for lunch, passing hundreds of small salt mounds on the way. After this there is the opportunity to spend some time out on the salt flats, where you get to take some of those great perspective shots you see all the time. 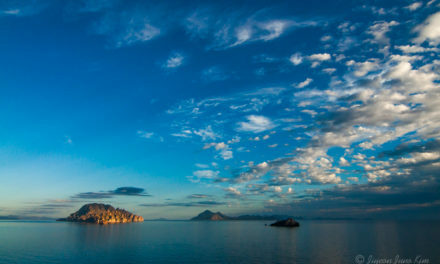 Finally, the day ends by visiting Incahuasi, where you get incredible panoramic views and see the giant cacti on this island close up. Early start for a day that involves plenty of driving, travelling past some stunning mountain scenery and several massive volcanoes. 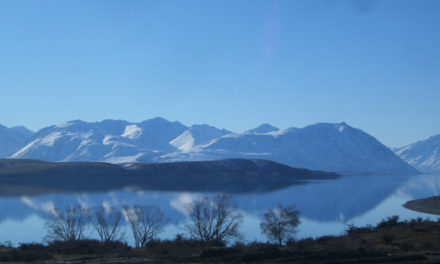 The high altitude lakes you see during the day are incredible and the reflections you witness of the surrounding scenery from their surface are like an illusion. Look out for the three different species of flamingo found here. 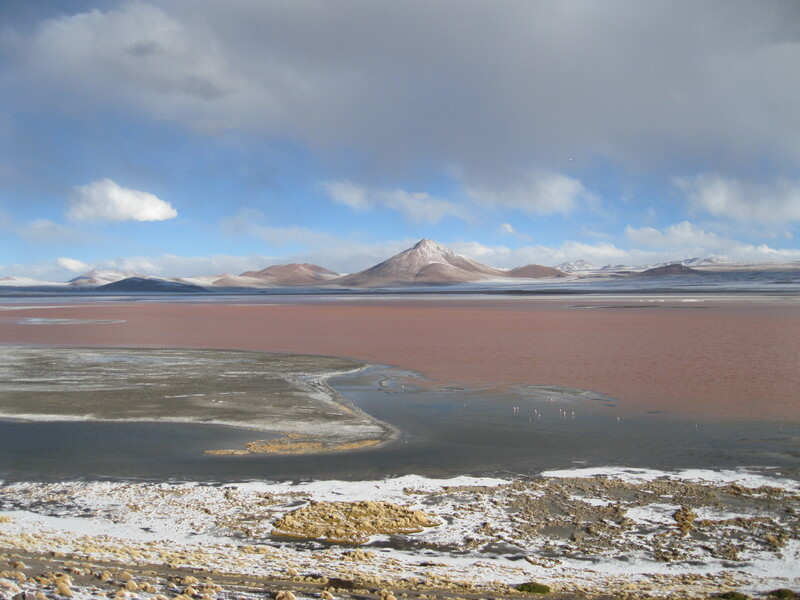 The day ends at the beautiful red-colored lake of Laguna Colorada. On the final day you start by seeing some impressive geysers and then head for a relaxing soak in the hot springs, before moving on to the Dali Desert and Laguna Verde. Another gorgeous colored lake, which brings a perfect end to an unforgettable few days. 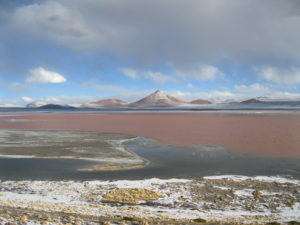 You then get the option to travel on to San Pedro de Atacama in Chile, or head back to Uyuni. Whilst you can visit the salt flats independently, it certainly isn’t recommended, as the area is incredibly difficult to navigate and if you occur any major problems, then you’re stuck out there on your own. So even for those travellers who like to stay well clear of tours, it’s probably best to play it safe for this one. When picking your salt flats tour, it is absolutely vital that you do some research of the companies offering the service beforehand. Do not just go for the cheapest price out there. Serious accidents have happened in the past where vehicles have been unsafe and reckless driving has led to several casualties. I heard so many people complain about the companies they chose providing a poor service and rushing through their itinerary. So just make sure you give it some thought in order to get the best out of your experience. 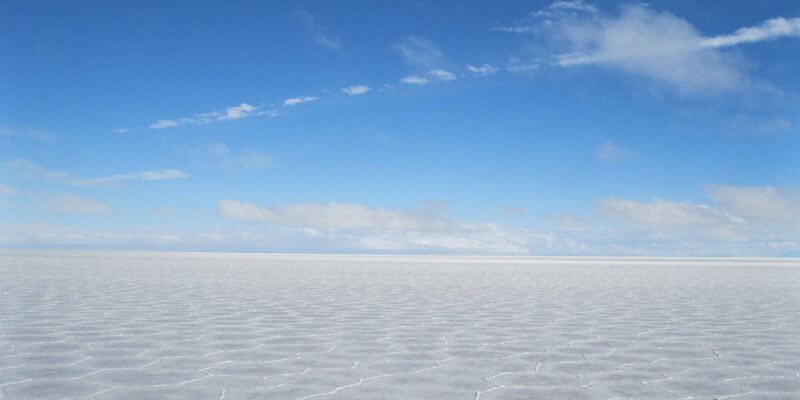 Book once you arrive in Uyuni rather than online, it will work out a lot cheaper. Some of the more professional and reputable companies are listed below. Temperatures plummet at night and can similarly be just as freezing during the day, so make sure you wrap up warm. The hotels you stay in don’t have any heating either, so it’s essential that you come prepared. Most people choose to travel with all their luggage on the tour, in which case you should be fine in terms of having what you need. Bring plenty of water with you for the full three days and don’t forget your sun cream! Max Hodge is a journalism graduate who has an incurable desire to travel the world. He has traveled to over 40 countries so far and aims to inspire people to follow in his footsteps through his love of writing. 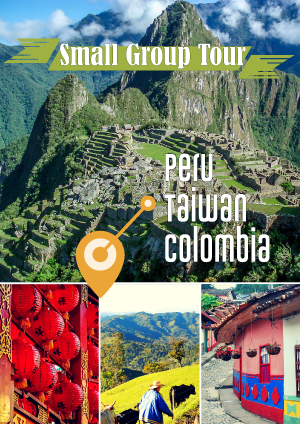 Max's favorite part of the world is South America, where his passion for travelling began. Follow him on and Twitter and check out his blog.